This smart guide is for you if you’re looking for the best flea sprays for cats. Because we’re also pet lovers, we made sure that the article consists only of products that were selected for their safety and effectiveness in fighting fleas. One way that we ensured the process was as impartial as possible was to go through plenty of expert opinions and honest reviews with all of their pros and cons. 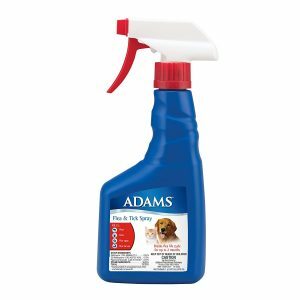 And one product that met all of the toughest criteria is the Adams Flea Spray. This product works on both fleas and ticks, and besides being versatile, it also provides long-lasting results. Its smell isn’t unbearable, and it is safe for dogs as well. However, if this option is out of stock or if the seller doesn’t ship to your area, we can recommend the Hartz UltraGuard since it offers similar results. The product is available in two different bottle sizes, so you can choose the best one according to your preferences. The unique formula is specifically designed to eliminate adult fleas, flea larvae, eggs, and ticks. It breaks the life cycle of these bugs for up to two months. It contains active ingredients that will start working in just four minutes after use. It is created for dogs and cats older than eight weeks. It does kill the fleas as long as you spray it directly toward the pet. The product comes with a strong smell that may irritate sensitive pets. We suggest testing the spray on a small portion of your pet’s hair and see if there are any allergies. This item comes in three different formulas, specifically designed for cats, dogs, and puppies. The fresh-scented spray kills ticks and fleas through contact. It can be used alone, once a week for preventive treatment, or in combination with other anti-flea shampoos or collars. It will start killing fleas within 10 minutes after you spray it, and won’t leave a strong scent behind, so that it’s safe for sensitive pets, including cats older than 12 weeks. This product contains a chemical known in the State of California to cause cancer. It shouldn’t be used near fish, birds or food supplies. We always recommend talking to a veterinarian before using any flea and tick treatments. Unlike other products, this one from ShieldTec comes with a waterproof formula that will ensure its effectiveness even after bathing or swimming. It is designed to kill ticks, fleas, and lice for 30 days, and will start working in just five minutes after spraying it on your cat or dog. It contains two active ingredients that, together, will also prevent the development of flea pupae. You can use it on cats and dogs. It does contain certain chemical substances that might cause allergies or mild irritations. Consult a vet before use. According to most customers, this product has proven its efficiency, so you should give it a try. 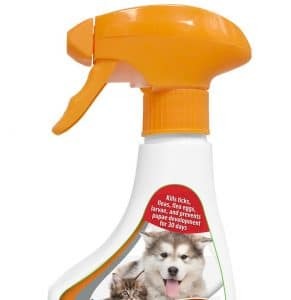 This spray has an improved formula that works almost instantly, and it provides quick relief from biting fleas and continuous killing of the insects’ eggs laid on the animal, breaking their life cycle. Furthermore, it kills fleas at all stages of life, from eggs to larva to adults, which is excellent news if you’re a fan of long-lasting results. Those who have multiple pets also like the fact that it works on both dogs and cats. This way, you can save money by only investing in one product that will successfully deal with most parasites. The formula has a combination of ingredients that is ideal for both short-term and long-term use. Its main weapons are etofenprox, (S)-methoprene, and piperonyl butoxide, which are potent insecticides that can control and prevent infestations for up to 2 months. Moreover, they won’t lead to allergies or other serious health problems. We also appreciate that it comes in a spray form that’s easy to use and apply. 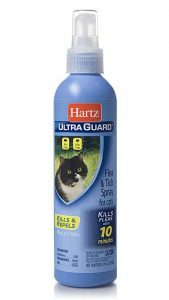 Hartz’s UltraGuard spray is primarily intended for pet owners who may be looking for an inexpensive alternative. It contains many powerful active ingredients that can help keep both the pet and its environment safe from pests. The adulticide in the recipe kills the adult flea, and the insect growth regulator kills the immature stages. All household pets should also be treated at the same time to ensure optimal results. You can do that comfortably every week since the bottle measures 8 ounces, and it is extra easy to use. The Fresh-scented product kills fleas and ticks on contact, so you won’t have to wait an extended period to see the desired results. Keep in mind that the spray is recommended for cats and kittens 12 weeks of age and older and that it can be used on any type of surface, without damaging it. Ultimately, it is a product that you can rely on and that works without costing a fortune. The most standout feature of this spray is the fact that it remains active even if your cat gets wet. Also, note that it protects not only cats but dogs as well, from fleas and ticks for more than thirty days. This means that one spray bottle will last you for a very long time before you’ll have to buy a new one. It contains two active ingredients called fipronil and methoprene that work together quickly to kill adult fleas, eggs, larvae and also prevent the development of flea pupae. Furthermore, the formula helps control ticks, which feed off your cat’s blood and may carry the dreadful Lyme disease. It comes in a convenient 16 oz recipient, and you can directly spray the content on pets at least 8 weeks old, and older. More people were impressed that it starts working in just four minutes and that it is highly useful in preventing further infestations. It has a pleasant smell, and it won’t lead to health issues. 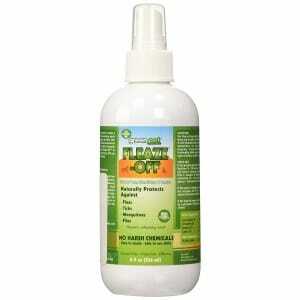 Among the many sprays against fleas and ticks for sale, you will find the Pet Naturals Of Vermont Protect Flea+Tick. Many pet owners prefer natural formulas because they are non-toxic and they cause no harm to pets and the humans around them. While chemical solutions may be a good option for killing critters, they can be harmful in other ways. This spray is effective against a broad range of critters; besides fleas and ticks, it acts as a repellent against flies and mosquitoes. These can also carry bacteria, or cause irritation and itchiness, so it is an excellent solution to have everything you need against critters in a single bottle. The natural oils used in this formula have been considered good repellents against critters by the people living in the Amazon forest. As long as these oils can keep vicious species of critters like those living in that area at bay, you can rest assured that your pet is well protected. 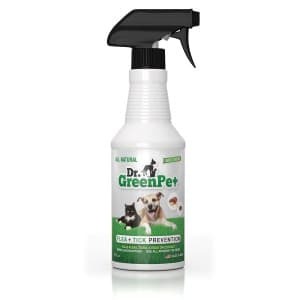 If you are looking for a natural solution to send any ticks and fleas away from your cat’s fur, the Dr. GreenPet All Natural is an excellent choice. Most of the cat flea spray reviews available from users and experts appreciate this spray as being the right way to go about applying treatment against fleas and ticks. The formula is 100% natural, which means that you don’t have to worry about synthetic chemicals or drugs being used. Your pet’s health is protected, and, along with it, everyone living in your house will be protected, too. The solution contains essential oils that act as potent repellents for fleas and ticks. The overpowering smell of these oils keeps the critters at bay, so it is good to apply this spray as a prevention solution. At the same time, you will find the natural scent of the formula pleasant, all the more reason to opt for this treatment instead of others. There are many solutions to ensure that the coat of your pet is protected against critters like fleas and ticks, from shampoos to collars, and medicine that can be administered orally. However, if you want a convenient solution that will not inconvenience you in any way, you should go for sprays. These are easy to apply, and they are a quick solution, too. Chemical ingredients or natural oils? When it comes to choosing the best cat flea spray, the ongoing battle concerns what ingredients are used. Chemical compounds can be very useful, and they can even break the life cycle for fleas, which is essential when you’re dealing with a pretty intense infestation. With so many pet owners interested in strong formulas, those with chemical solutions are still popular. However, the most critical issue to consider is the fact that these chemical ingredients can cause a lot of health problems, on the other side. Your cat may not like the spray that much and even have allergic reactions. Also, letting your kids touch the cat after receiving the treatment can pose other health hazards. Natural solutions, on the other hand, have their advantages. For starters, you will not have to deal with any chemical smell. Since natural oils are usually used in such formulas, you may even find the smell of the solution pleasant. However, you must keep in mind that natural sprays should be used as repellents only. Even the best natural flea killer for cats will not kill the critters nestled in your cat’s fur. However, the overpowering smell will make your pet’s coat such a nasty environment for fleas and ticks that they will no longer affect the animal. For prevention, natural sprays are the best recommendation. If you want a spray that can be used as an excellent remedy against fleas and ticks, a good idea would be to pick a formula that is fast acting and long lasting at the same time. Even if a spray manages to kill all the critters inside the fur of your pet, there will still be their eggs and larvae that continue to live on. An excellent and dependable formula will be able to kill the eggs and the larvae, too. 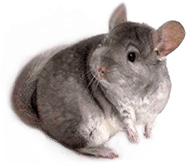 By breaking the life cycle in this manner, the spray will prevent reinfestation, something you should not take lightly if your pet suffers from the action of such critters. Are there any critters to be dealt with? When looking for the best flea killer for cats, bear in mind that it doesn’t hurt to have a solution that can deal with other nasty critters as well. Most formulas present on the market are efficient against ticks, too, but there are others that might disturb your cat’s wellbeing just as much. Some sprays act as good repellents against mosquitoes and fleas, too. These critters can be quite nasty since they will sting your pet’s skin and cause itchiness and irritation. Pick a complete formula if you want to offer your pet the best care possible. 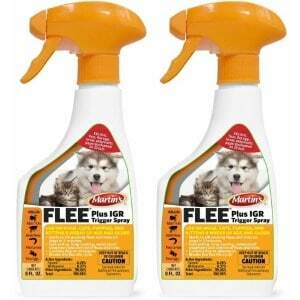 For anyone looking for a good flea killer for cats and dogs, the Martin’s FLEE Plus IGR Trigger is the right solution. It is an effective formula that fights both fleas and ticks, which means that you can rest assured that your pet’s beautiful fur will no longer be home to all kinds of nasty critters. 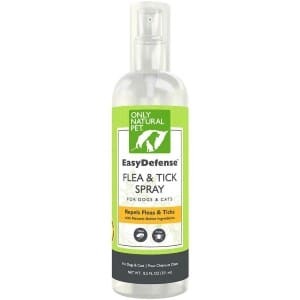 Many pet owners appreciate how fast this spray begins to kill fleas and ticks. 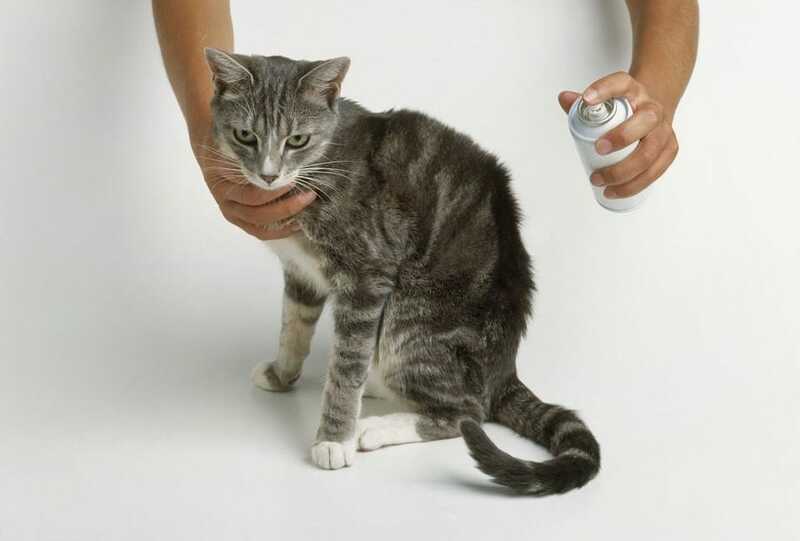 5 minutes after applying the spray on the pet’s coat, the critters will start dying, and your cat or dog will feel the relief from all the itchiness right away. The action will continue after that, as well. But this is more than just a fast-acting spray. It is waterproof, so you can wash your pet without interrupting the action of the flea treatment. 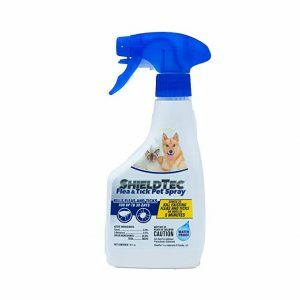 Even small puppies and kittens can be treated with this spray, which is an excellent solution if you have multiple generations of pets in your home. 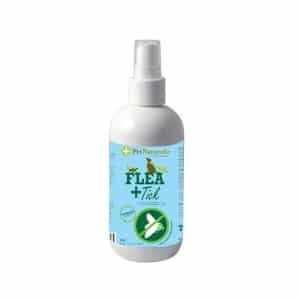 The Green Pet Fleaze-Off FOSN8OZ is an excellent solution if you need to protect your pet against all kinds of parasites, including the usual suspects, like fleas and ticks, but also flies and mosquitoes. It must be kept in mind that this is a natural formula, so it will not be toxic for your pet. Also, it will not kill the critters, but create an environment that is inhospitable for them. Because there are no chemicals used, your pet’s health will not be at risk in any way. The natural blend of oils contained in this spray ensures that critters will no longer bother your cat or your dog. Natural oils like lemongrass, cinnamon, sesame, and castor oils are used in this formula. The rest of the spray is made from purified water, so it is entirely safe to use it around kids and other pets, too. Critters are not fond of the strong smells of these oils, and they will avoid your pet’s fur. This way, your pet will be happy and healthy. Natural solutions are often preferred to synthetic chemicals and drugs because they ensure a safe environment for your pet as well as other animals around it. The Only Natural Pet EasyDefense is made from a unique combination of geraniol – a compound obtained from geranium, and peppermint oil. This formula is very efficient against fleas and ticks, and all you have to do is to apply the spray every day before you take your pet out for a walk. This way, no fleas, and ticks will jump into its coat, repelled by the strong smell of the natural oils used. While you may find the smell pleasant, and your pet will not be disturbed by it, critters will abhor it all together. One aspect to keep in mind is that this formula is perfectly safe for your pet. Even when used inside your home, it will not cause any trouble for anyone’s health. Use this natural spray to keep critters away from your pet’s coat.